When Edward Snowden blew the whistle on the National Security Agency (NSA) in June 2013, the U.S. Department of Justice and the White House branded him a traitor. He became the most wanted man in the world, and members of the military-industrial complex said they would assassinate him if they had to chance. Why? Late last year, a twenty-two member congressional bi-partisan intelligence committee issued a long-awaited and scathing report on Edward Snowden. Relying exclusively on information supplied by the intelligence community, the report concluded that Snowden was a serial exaggerator and liar. Was he? The report said he was a disgruntled employee who gave stolen classified documents to the media out of revenge. Did he? The report said that the majority of the 1.5 million documents he downloaded were defense secrets that had nothing to do with privacy. Did Snowden leak dangerous defense secrets to the media? Finally, the report said that Snowden is currently sharing classified documents with Russian intelligence officers. Is he working with Putin? Karen Silkwood died in a car crash in Oklahoma on November 13, 1974. She was on her way to deliver health and safety violation documents to a New York Times reporter. 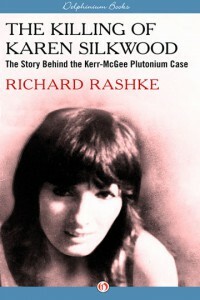 She claimed that the documents proved gross negligence on the part of her employer, the Kerr-McGee Nuclear Corporation, in handling the plutonium it used in making fuel rods for a nuclear reactor. After the accident, the documents disappeared from her car. Was her death an accident? Who took the documents? Why were they important? And why is the FBI so afraid of Karen Silkwood that it won’t make public its final report on her death forty-three years ago? 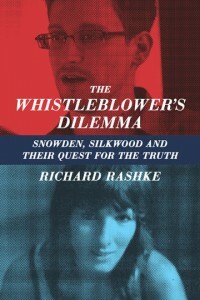 Richard Rashke answers these questions in Whistleblower’s Dilemma: Snowden, Silkwood and Their Quest for the Truth. While dissecting each important issue, from motive to demonizing, Rashke carefully presents both sides in an unbiased way. All books by Richard Rashke – click here.